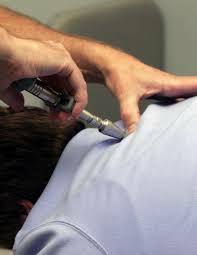 Activator Methods Technique is a gentle, low-force program of chiropractic care. It has been safely used for nearly 40 years to benefit people with a wide range of health problems-without drugs or surgery! In the late 1960's, this revolutionary technique was developed to improve the safety and comfort of chiropractic patients. Since then, the technique has grown to be the most widely-used "low force" chiropractic technique in the world. Many of our patients have expressed that they are afraid of the traditional chiropractic method especially with the rotational components of the neck adjustment and low back. Not so when you come to see us. We never twist your neck or low back. Rather, you lay face down on the table and we use the instrument. It is so gentle that a lot of patients remark that they barely felt anything but are so pleased with the results that they received at our clinic that they refer their friends and families. 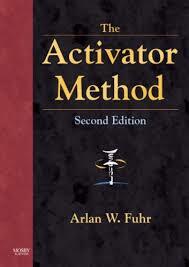 This medical instrument called an Activator was developed over 40 years using medical research. In fact, the FDA (a goverment agency) has approved this medical instrument for use on patients barring any contraindications. 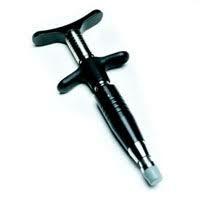 This is the only chiropractic instrument approved for adjustments by the FDA. You have the option at Back to Health Family Chiropractic to use our automatic tables that lower and raise your body or you can climb on a table if your prefer. The choice is always up to you. 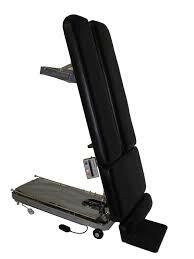 Using the Activator instrument, your chiropractor can help restore spinal balance, safely and comfortably. This technique uses specific procedures to detect spinal joint dysfunction, analyze leg length inequality, detect body mechanic problems, and test neurological reflexes. Through these series of tests, the doctor now knows where adjustments are needed. The Activator instrument delivers a controlled, light, and fast thrust, without causing undue strain to patients. This adjustment is so quick and controlled, that your body's muscles are less likely to resist. 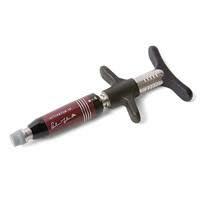 This allows for a more precise and exact adjustment. This techniques also allows patients who suffer from degeneration, arthritis and osteoporosis to be adjusted without cause for concern. AMCT (Activator Method Chiropractic Technique) uses the most recent orthopedic, neurological and chiropractic advances to locate problems in the spine and extremities for the enhanced treatment of patients. AMCT has been developed from years of empirical study and clinical research. Activator Methods rely on an Activator Adjusting Instrument such to provide quick, reliable, painless chiropractic adjustments. Over 30000 doctors have been trained in AMCT. More than two thousand of these doctors are Proficiency Rated. FDA approved AMCT is now the most extensively used procedure on the planet. This suggests a high level of patient satisfaction.